Is my flight location in a restricted airspace zone? No matter what make and model drone you’re flying, you can find out if you’re in or near restricted airspace on the DJI Fly Safe GEO Zone Map (GEO – Geospatial Environment Online). Of note, the DJI GEO-Map is much more comprehensive than the FAA’s online map, from Part 1. DJI’s GEO-Map System delineates where it’s safe to fly, where your flight may raise concerns, and where flights are restricted. Restricted airspace zones that prohibit flights are implemented around locations such as airports, power plants, and prisons. They’re also implemented temporarily around major stadium events, forest fires, or other emergency situations. Certain restricted airspace zones don’t prohibit flight, but do trigger warnings that inform users of potential risks. The procedures below are specific to the DJI brand of aerial drones. Other drone manufacturers may have their own procedures. Green– warning zone, such as the outer zones of restricted flight areas. Yellow– authorization zone, such as the inner zones of restricted flight areas – unlock is available online. Red– restricted zone, unlock is available by providing evidence from an authorization authority to DJI. FAA Part 107 requires the remote pilot to receive permission from the airport Fixed Base Operator prior to flying within 5 miles of the airport. If your drone is inside the “green zone”, that is it’s inside the 5-mile radius but outside the 1.5-mile radius, DJI assumes the pilot has this permission – your drone will fly; no further action needed. 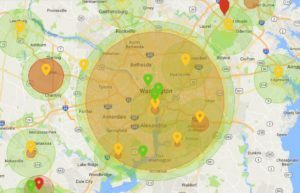 However, if you’re inside the 1.5-mile “yellow” radius, the drone’s firmware prevents the drone from starting and/or entering this airspace. Unlocking a yellow zone boundary, such as within 1.5 miles of an airport, requires permission via the DJI website, which verifies your identity and coordinates the “Unlock” with your DJI online account. A reminder that you should have a valid reason, such as a commercial photo shoot, prior to asking the airport’s Fixed Base Operator for permission. Click on the “UNLOCK A ZONE” tab and enter your DJI account information. Enter your drone model, location, authorization date range, and controller serial number. Your remote controller serial number is not printed on the remote, but you can look it up in your DJI Go app. You can also look it up in a Litchi flight log under the column FlyControllerSerialNumber. 1. By phone, enter the number (no hyphens), press send and you will receive a text message. Enter the token. 2. By credit card, enter the number (no hyphens) and info. If successful, you will get this notice: “This Authorization Zone has been unlocked. You can check your unlocking records in the DJI GO app.” Caveat: you may not see the “unlocking record” in your app but you will be prompted to fly safe before taking off. Also, this procedure only works for the DJI Go app; other after-market apps may not work. Permission to fly in a red zone is done via e-mail to flysafe@dji.com. You will need to provide evidence from an authorization authority. DJI will then process your request and, if approved, unlock your drone via your DJI online account. This blog outlines some of the latest No Fly Zones in the United States. These are places that the Federal Aviation Administration (FAA) states you cannot fly your aerial drone. This subject is dry and boring, so all you need to know is that you can’t fly your recreational drone near airports, military installations, major sporting events, and nuclear research labs. Of note for our DJI drone pilots, DJI has software lock-outs to keep their drones out of restricted airspace. Part two of this series outlines the procedure for DJI drone pilots to unlock their drone’s restrictions, such as when they have permission to fly in restricted airspace. FAA NOTAM FDC 7/7282 governs restricted air space. The restrictions extend from the ground up to 400 feet, apply to all types and purposes of Unmanned Aerial System (UAS) flight operations, and remain in effect 24 hours a day, 7 days a week. At this time, the restricted airspace is typically around military installations, large airports, and nuclear research labs. It seems reasonable to expect that power plants, prisons, and other critical infrastructure will be added to this online map. This NOTAM also states the enforcement actions and penalties: $32,666 for a small business, $13,066 for an individual not acting as an airman, or $1,437 per violation for an individual acting as an airman; and revoking FAA certificates and authorizations to operate UAS’s under Title 49 U.S.C. Sections 44709 and 46301. I’ve also seen reports that military installations can shoot down unauthorized aerial drones. FAA NOTAM FDC 7/4319 restricts UAS operations around stadiums and motor speedways. 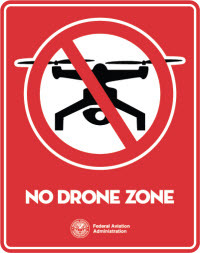 UAS’s are prohibited from flying at or below 3,000 feet within a 3 nautical mile radius of any stadium with a seating capacity of 30,000 or more people during a Major League Baseball, regular or post-season National Football League, NCAA Division I football game, or major motor speedway event. This temporary flight restriction applies to the entire U.S. domestic National Airspace System, and takes effect starting one hour before the scheduled event time until one hour after the event concludes. 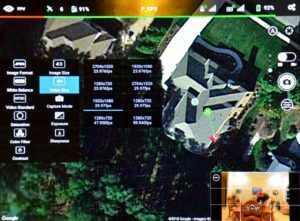 B4UFLY is an easy-to-use smartphone app that helps unmanned aircraft operators determine whether there are any restrictions or requirements in effect at the location where you want to fly. B4UFLY pulls its information directly from publicly available FAA data sources and packages the information in a user-friendly and intuitive format. You can download B4UFLY from Google Play (Android) or Apple’s App Store (IOS). ID and tracking technology is actively being considered as a requirement for UAS’s by the Aviation Rulemaking Committee. Yes – this is about adding transponders to future drones so big brother can identify your drone (and you), and possibly override your control. Flying aerial drones in the National Parks of the USA was outlawed in June 2014 by the Director of the National Park Service in his Policy Memorandum 14-05. Several incidents led to this interim policy guidance, which supplements Title 36 Code of Federal Regulations (CFR). For example, I read reports about amateur drones harassing wildlife, interfering with search and rescue efforts, interfering with fighting forest fires, and in one case a drone that crashed into the Grand Prismatic Spring in Yellowstone National Park. Let’s just get down to the important stuff – what can they do to you if you get caught? Park Rangers are permitted by law to make arrests for violations, and if convicted a drone pilot faces fines and jail time. So, where does it say that? Title 36 CFR Part 1.5 and the Policy Memo provide the authority, and 36 CFR Part 1.3 states the penalties, which read: “shall be punished by a fine as provided by law, or imprisonment not exceeding 6 months, or both, and shall be adjudged to pay all costs of the proceedings.” I’ve also heard of Park Rangers confiscating drones, but I haven’t seen a policy statement granting them that authority. What parks are covered? Title 36 covers all lands that fall under the jurisdiction of the National Park Service, including National Parks, National Military Parks, National Monuments, and Battlefield Sites. Can I Fly Over Other Federal Lands? Currently, my sources state that you can fly your drone over the National Forests and most lands administered by the Bureau of Land Management. However, watch for changes in policy as lawmakers are crafting new rules regarding aerial drones. For most drone pilots, the bar is simply too high to get a waiver or what the National Park Service calls a Special Use Permit. The NPS Policy Memorandum outlines the process in Exhibit B. Paraphrased, it states the Park’s Superintendent will receive a written request for proposed drone operations and endorse it up the chain of command to the Associate Director, Visitor and Resource Protection office in Washington, DC for approval. Once your drone is airborne, your flight falls under FAA rules. The NPS Policy Memo acknowledges this and states “Launching, landing, or operating an unmanned aircraft from or on lands and waters administered by the NPS is prohibited.” However, under the FAQ section (no. 9), this prohibition is clarified with a very useful statement that aerial drone flights originating outside the park’s boundary ARE permitted to fly over national park lands (because they’re in the air space that falls under the jurisdiction of the FAA). I will add that the wise drone pilot will fly strictly in accordance with the safety provisions of the FAA’s 14 CFR Part 107. 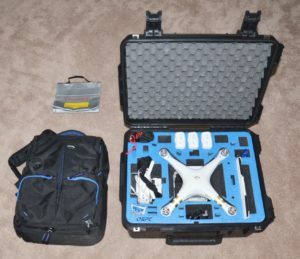 What is the Best Way to Transport Your Drone and all of its Accessories? Each battery must have short circuit protection. Spare batteries must be carried in the cabin (not checked). Always discharge your batteries to 10-15%. The W-Hr rating is typically stamped on the battery. For older batteries, the FAA calculates the W-Hr rating by multiplying the battery’s voltage by its Amp-Hr rating. Some example batteries: Phantom 3 batteries are rated at 68 W-Hrs and Phantom 4 batteries are rated at 81 W-Hrs. I recommend a Li-Po fire-resistant carrying bag, such as those made by Lipo Guard. Not only a wise investment for traveling, it also provides a safe enclosure for charging. Personal item dimensions: maximum of 18x14x8 in (typical for under the seat stowage). UPDATE – United Airlines’ stricter dimensions just went into effect: 17x10x9 in. Always check! Carry-on bag dimensions: maximum of 45 in L+W+H (I’ve also seen 22x14x9). Your carrier may charge a fee for a carry-on bag, but no one charges for personal items. If you’re so inclined, then go with a hard case and check it through to your destination. The advantage of a hard case is that everything is well-protected and much more accessible. 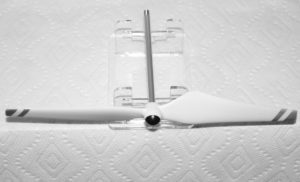 Some hard cases don’t even require you to remove the propellers; although I always do. Checked bag max dimensions are typically 62 in L+W+H. Checked bag fees may apply. Once you’ve listed your requirements, it will be much easier to select a case that meets your needs and suits your style. Personally, I prefer a hard case for travel by car and a compact (personal item size) backpack for travel by air. How often have you wished for a wider angle lens to capture your subject of interest? 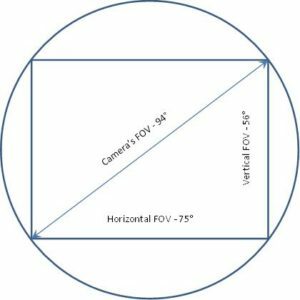 Or have you seen wide angle panoramas and thought to yourself “That’s cool, I wonder how they did that?” Let’s take a look at how to make panoramas that provide a poster-size photo of your subject or immerse yourself into a 360-degree wide-angle, or better yet a cylinder or sphere. Virtual immersion is some of the latest technology for real estate marketing, travel, and personal entertainment. 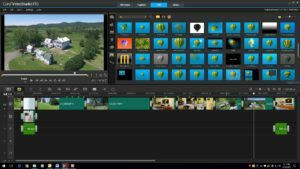 The term for assembling the individual shots into a panorama is “stitching.” Basic stitching software includes Microsoft’s ICE (it’s free). For more professional results, programs such as PT GUI Pro automatically blend the images. Think of the blue sky that varies in intensity from shot to shot. Automatic blending provides a pleasant transition from lighter to darker shades of blue. Can I Control Where The Stitches Are? Good stitching software will give you control over where the images get stitched. Say you have 20 degrees of overlap, but an object is in motion in both images. For example, a car is in position A in one image and position B in the other image. You select which image to dominate through masking, and the other will disappear. As long as you have adequate overlap, the images can be successfully stitched. Use the software’s “Layers” option to create the file set for a spherical projection. Then use Tools/Publish to Website, add these files and hit the convert button to build the web file set. Upload these files to a web folder and copy the link to the master file “name.htm”. (You will see a lot of image files, each with small portions of the pano; this is normal.) Insert the link wherever you desire and the spherical panorama will come up when viewed in your browser. Use your mouse to move around the pano. This is how the professionals do it for real estate portfolios, FaceBook, etc. As I mentioned above, panoramas can be used to make super wide angle photos. If you can’t position yourself far enough away from your subject, then take multiple images of it and stitch them together. Do you have a large print or poster that’s too large for your scanner? Scan it in sections and stitch them together for a high-resolution image file that’s much better than taking a picture. 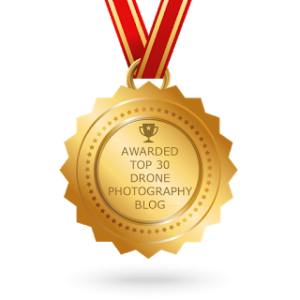 How Serious Are You About Commercial Aerial Drone Photography – Do You Have a Remote Pilot FAA Certification? 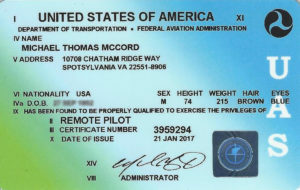 Having the right answer in case anyone asks (or anything goes wrong) is that you have a Remote Pilot FAA Certification. Better yet, being certified means that you have prepared for and passed an exam that demonstrates your knowledge in relevant areas. Therefore, certification will help you to avoid incidents where you may become legally liable, especially if you’re flying for profit. Remote Pilot certification requirements were relaxed with the publication of 14 CFR Part 107 on August 29, 2016. Prior to that date, a pilot’s license or FAA waiver was required. 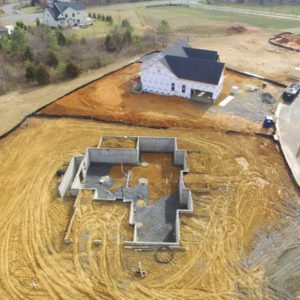 Since then, remote pilot certification follows a process specifically tailored for small aerial drones. The applicant must be at least 16 years old, be physically and medically fit for safe operations, understand the English language, and pass the initial aeronautical knowledge test. The test consists of 60 multiple-choice questions, with a minimum score of 70%. Upon passing the exam, the CATS testing center will notify the FAA. Register for an FAA remote pilot certificate online at: https://iacra.faa.gov/iacra. Your temporary certificate will be issued by the FAA within a few days. Your permanent certificate requires further vetting by the FAA and TSA and will arrive some 6-8 weeks later. For example, a copy of mine is shown above. As some of you may have been the victim of identity theft (as I have) my date of birth has been masked. One final and very important note. For commercial operations, your drone(s) must be registered with the FAA and the registration number affixed to the airframe. There are steep fines for failure to register your drone!